For some, the apres-ski in Meribel is the ideal opportunity to get together and have one giant party – drink toffee vodka, dance on tables in their ski boots then stumble home. While others prefer to find a quieter, more sophisticated bar where they can sip a cocktail or two and nibble aprés-ski snacks in front of an open fire. 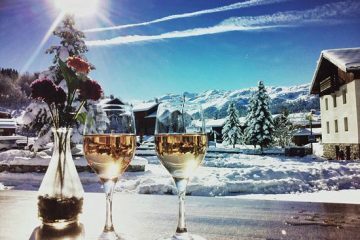 After a hard day on the slopes there is nothing better than a spot of Apres Ski and Meribel certainly won’t disappoint. 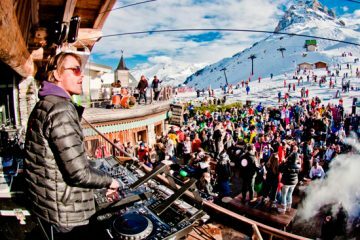 The world famous Folie Douce provides a mix of DJ’s smashing out dance music, musicians standing on tables playing saxophones and guitars in fancy dress. The atmosphere is made even more exciting with fireworks and coloured smoke each time someone orders a bottle of champagne. 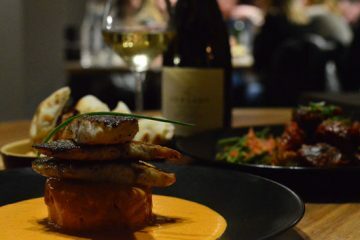 Meribel has a wide range of places to keep you fed, offering everything from traditional savoyard restaurants and pizzerias to fine dinning in Michelin Stared restaurants. Tsaretta is a friendly, exciting bar and restaurant – open every day of the year, it provides a great venue to meet, relax, have a drink, enjoy some delicious food and party to the best live bands. Free wifi. 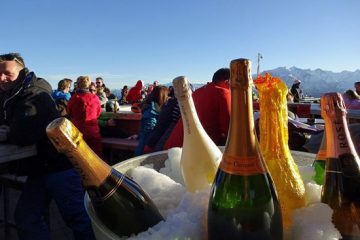 One of the most famous bars in Meribel, the Rond Point is right on the piste. Better known as “The Ronny” it has live music every afternoon 5pm till 7pm. Defiantly add this to your to do list. 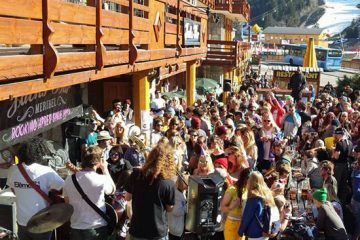 The Folie Douce is right on the slopes making it the big party venues in Meribel. It starts kicking off around 3pm and closes at 5pm. This is definitely worth a visit at least once during your holiday. 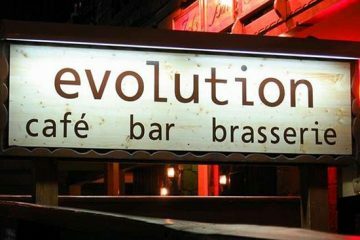 Evolution Bar & restaurant is next to Jacks but is a far more relaxed venue. However, it does have some lively nights during each week in the winter season. Opens early each day for English breakfasts.Free wifi. 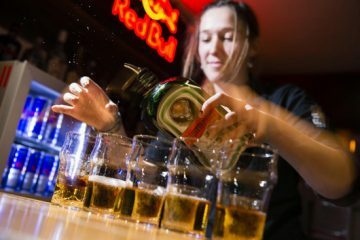 Jacks Bar is established as one of the most popular apres ski bars in Meribel. It features live music most afternoons plus you can keep in touch with all the football action on big screen TV’s.Free wifi. 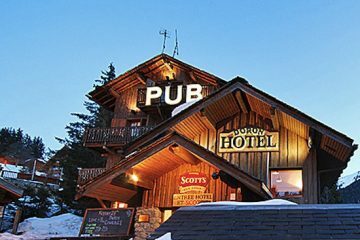 The Doron Pub is the oldest bar in Meribel. The Pub is a lively venue and features live bands most nights. It shows many of the main sports events including Premier League football and the Six Nations Rugby. 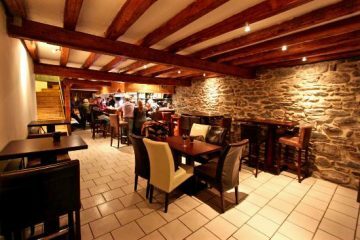 La Taverne is positioned in the centre of Meribel. It shows all the main sports events on several TV screens along with live music on some nights. Its doors opens at 8.30am for breakfast and closes late.Free wifi. 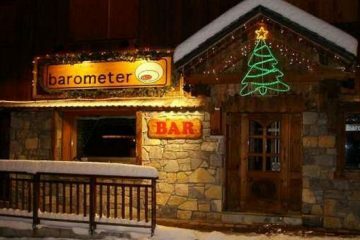 The Barometer Bar is a relaxed venue for apres ski with a lively and buzzing atmosphere at night. It has big screens for live sports including premier league matches. It also serves excellent bar food. Free wifi. Bar Fifty 50 is on the main road heading towards the Chaudanne. This is a great little venue, Matt and his sister Elizabeth are normally behind the bar. If you like rugby, this is the place to be .Free wifi. La Terrasse Brasserie is renowned for its warm and welcoming atmosphere, friendly staff and of course the beautiful view. They have a fantastic menu which includes great options for vegetarians such as Mushroom Pappardelle and Vegetarian burger. Petite Oignons is a lovely little bar and restaurant. It provide a great spot for apres ski on most days of the week. 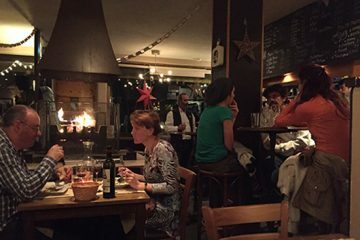 During the evening it offers a warm relaxed atmosphere where you can enjoy some delicious food.Free wifi. Tsaretta Spice, located in Meribel Altitude 1600 – offering authentic Indian cuisine prepared by highly trained chefs, it brings a new culinary experience to the heart of Meribel. Tsaretta Spice is open from early December until late April .